The word “podcast” is used loosely, which can be a source for confusion. Essentially, it has two contexts: one referring to an individual episode and the other referring to the series of episodes that make up the show / program. 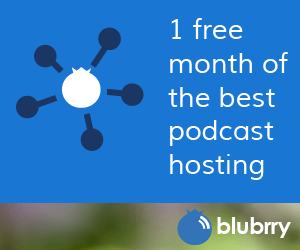 Here are some common uses of the word “podcast” with brief explanations. Subscribing to a podcast implies that you are subscribing to the series of episodes that make up the show / program. Downloading a podcast usually applies to downloading an individual episode. Podasting services almost always refer to the entire series of episodes that make up the show / program. When we refer to a “podcaster,” we are referring to the individual (or team) who creates one or more podcast shows / programs. The term is not exclusive; anyone who has been on a podcast show can make such a claim. Podcasting refers to the process of creating episodes for a show / program. Similar to the word “podcast,” it can refer to a specific episode but it almost always refers to the production of ongoing episodes for a show / program. Podcast show / program – This is the title of your online radio or TV series — you will create episodes under this title on a regular basis. To make your show / program known to the world, you submit the podcast feed (unique syndication URL) to podcast directories such as iTunes enabling your audience to subscribe to your show. For example, the unique syndication URL you submit to iTunes is queried by Apple every four hours to look for new episodes to display on the iTunes directory. Podcast episode – This is the media content (your audio and/or video file) tied to episode title and notes (identical to writing a blog post or content for a Web page). The process of creating the episode title and notes with a title and associating the media file within your podcast feed “syndicates” your episodes. The syndication happens independently. For example, iTunes will query your podcast feed within four hours after you publish your latest episode. Within that time, the latest episode will be made available on the iTunes podcast directory. Podcasting – Can refer to the first-time setup to establish a podcast show / program or more commonly refers to the routinely created episodes that make up the show / program series. Podcaster – The individual who conducts the podcasting.